The Singles Rant: Join Us At Our Valentines Day Mixer! Valentines Day is not usually a day geared towards singles but we're here to change that! Don't be sad because this is your second or third year without a significant other! Ha! 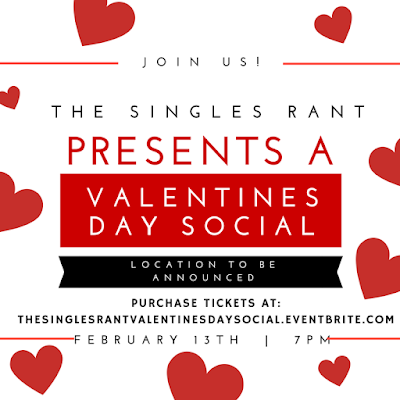 Join us at our Valentines Day Social here in Atlanta. Come to mix, mingle, sip on adult drinks....and get this....Bae might even be there! Who knows! We will also be casting for Season 2 of The Singles Rant. If you already have a Bae....you're still welcomed! Season 1 Ends With Rant #10!